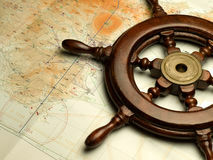 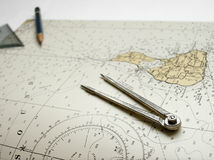 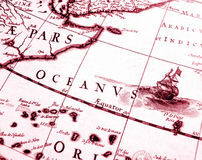 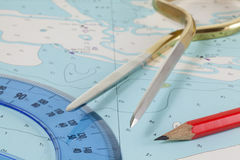 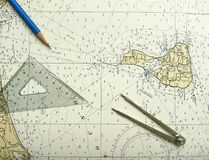 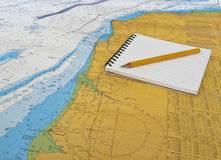 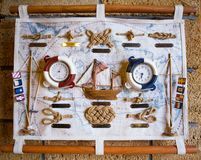 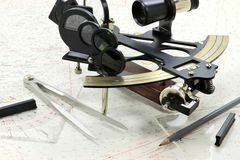 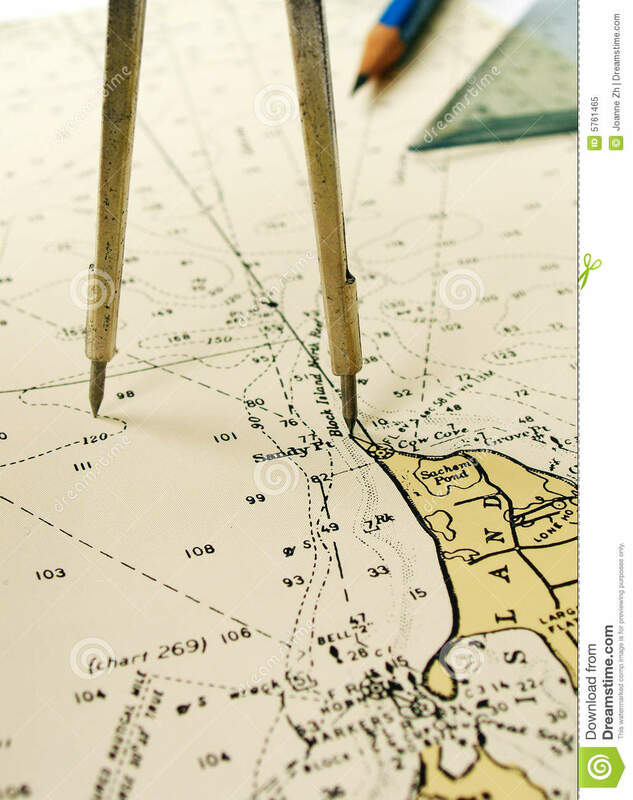 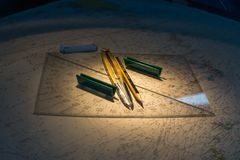 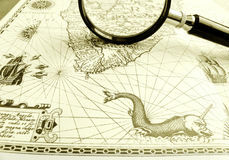 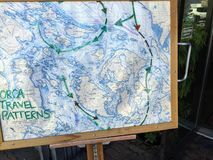 A blue wood pencil and a pair of compass dividers plotting a route, pointing to a place on an old nautical chart, used for sailing and navigation on seas and oceans. 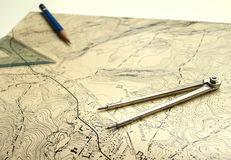 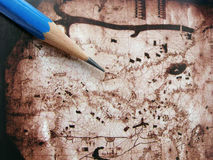 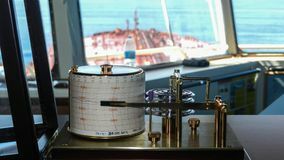 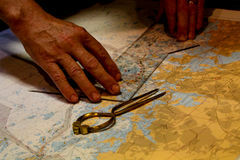 Topographical map taken with a set square and compass divider. 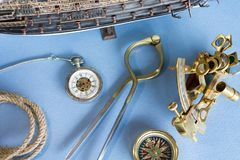 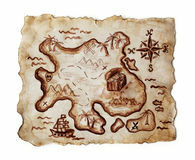 Great for themes about exploration, adventure, navigating, travel, treasure hunting, far journeys, voyage of discovery, dangerous missions, holiday planning, etc. 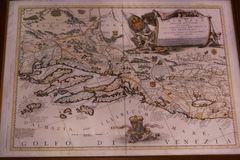 Also suitable for studying of geography as school subject in a book. 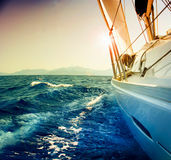 Vertical format. 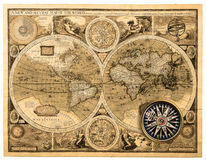 Slightly yellow tinted for an old vintage feel.